I love seeing your stamping manicures! Thanks for hosting a great giveaway! Stamping! Just because you're awesome at it! Great giveaway! Love the shades! Maybe some DIY post or 'How to'/ I love what you do and want to do it myself! I'd like to see you try freehand or something fun. I do like your stamping and swatches. Stamping, hauls, old and htf swatches, stash shots/ storage ideas :) i love W7! I love to see more stamping nail art..I love stamping nail art.. I'm always appreciative of nail tutorials, especially when you are super proud of a mani! I have to agree, more stamping because you are awesome at it! Plus, maybe a tutorial to show us how you do it? Congrats on 400+ followers! Awesome designs & that too looks so easy on the eyes :) I really adore by the design ..at Zoe nails Super cool .I make sure i always keep myself abreast of designs . Thank you so much! Congrats for 400! Stamping nail arts and hauls! I would love to see more tutorials and step by steps of how to create such amazing nails. I wouild love the posts with nail art and international giveaways with 3 winners! I'd like to see more swatches. Stamping is always nice to se more of. Swatches and tutorials! 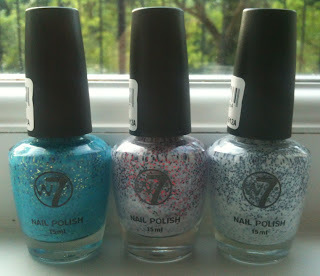 I love these polishes, such a bargain compared to the Nails Inc!! Always love seeing more nail art! hard to find Indie swatches..thanks so much! I would love to see comparison posts! I would like to see more hauls. I love your nail art reviews! I like seeing swatches of new polishes and dupes/comparisons. I love to see originals vs. dupes swatches!!! Thank you and congratulations!!! I always love nail art tutorials of any kind. They help me learn how to make my own nails look lovely. I love seeing tutorials and polish comparisons. i love seeing more haul!!! i love seing more tutorials!!! I'd love to see more hauls!!!!! I love your blog, I am so glad that I found it, you have a variety of everything on here that a nail addict loves!! I always like to see tutorials for nail art that looks complicated but with easy instructions to make it simple!!! Thanks for the chance to win!!! I'd love to see more hauls and tutorials! I'D LOVE MORE NAIL ART. I'd love to see more tutorials!!! Some new tutorials. But everything is great right now! I really enjoy (but am very jealous) seeing UK polishes! Also you do very nice stamping. Would love to see more free hand art or more tutorials! Thx for giveaway!! I love tips and tutorials...its always great to learn something new. I'd like to see more nail art and tutorial. I love tutorials, maybe i'd like to see more about stamping! hi,a new follower of your blog.as i am not good with nail art,so i would like to see more nail art tutorial,stamping ! I always love seeing swatches! 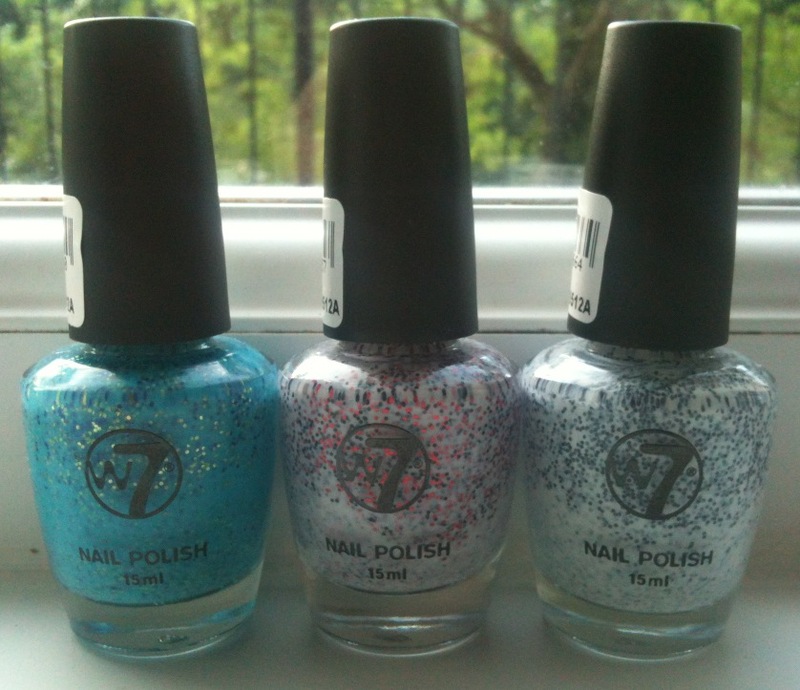 These are super cute nail-polish! Hope I win the giveaway! !